While Facebook’s lack of real money gambling apps extends to poker, players can still find free play versions of Facebook Texas Hold’em, Facebook Omaha and more through the social media platform’s built-in gambling apps. These free play apps provide a means of perfecting your poker technique in an environment where you are not risking your own money. This page was created by our team of gambling analysts to educate players on how the Facebook poker market works, including the game types available, bonuses and more. By the end of this section, you will be well-versed on social poker apps compatible with iPhone, Android, Blackberry and Windows devices. Zynga is arguably the most recognized game developer in the social gaming industry. It is considered the #1 social poker app worldwide and allows friends to play against each other in a low-stakes environment. The app features a sophisticated design and is the perfect venue to practice your game, whether you are an expert or beginner. Zynga poker is compatible with your mobile or web device. Players can enjoy casual Texas Hold’em in single-game or tournament formats. You can win up to $3 million in chips daily. 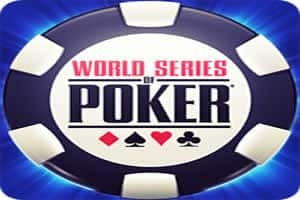 The WSOP free play social poker app allows players to have the WSOP experience without gambling any real money. There are multi-level tournaments at virtual Atlantic City, Paris, Sydney, Tokyo, London and Las Vegas resorts. Players can win WSOP rings along with their chip prizes for bragging rights. There is Texas Hold’em, Omaha and more in both single-game and tournament formats. Free chips are issued every 4 hours to keep you in the game. Players who utilize the Facebook app will be rewarded an additional $15,000 in chips and can challenge their friends and compete. 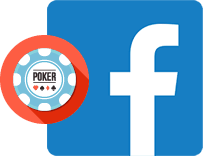 These are just 2 examples of reputable Facebook poker apps on the market. While there are other options, Zynga and WSOP draw the most users. This may vary pending the location you are attempting to play from. Both ZyngaPoker and WSOP are 18+. Most international versions of Facebook do not currently support real money gambling poker apps. Players have the option of playing free play Facebook poker apps or web-based gambling applications accessed through your device’s mobile browser. Unlike Facebook, the browser-based gambling apps offer real money gambling. You can browse these types of web based real money poker apps by clicking the links provided in the table below. Is Real Money Gambling Through Facebook Poker Legal? Online poker is still considered illegal in most of the world. It is possible for Facebook poker to introduce real money gambling down the road, but it will likely take time for the market to develop. In the meantime, Facebook has several poker free play apps available. How Do Facebook Free Play Poker Apps Work? Players can download a social poker app through the Facebook platform. Not every Facebook casino app features poker games. Some popular casino apps only offer slot games, so be sure to check the app description before downloading. Once you make an account, you will be awarded free tokens redeemable for gameplay. Different social poker apps have alternate bonus amounts, but most will give you more than enough to get started. Players can either enter single-games or tournaments in categories like social Texas Hold’em, social Omaha, social Shootout and social Sit N Go games. You will accrue more tokens through gameplay that can help you achieve certain VIP level status. Some social poker apps feature live dealer games. Video poker games are available for players looking to mix their Facebook poker experience up a bit. Which Devices Are Social Poker Apps Compatible With? Social poker apps are designed to be compatible with iPhone, Android, Windows and Blackberry devices. This includes both smartphones and tablets. The apps utilize responsive design technology to successfully render physically and maintain consistent functionality across different devices and screen sizes. The virtual table designs emulate what you would find in a real money gambling online poker service. Developers have modeled their Facebook poker apps to feature striking graphic visualizations to increase the overall quality of gameplay. This helps make up for the lack of real money gambling and keeps players’ attention throughout gameplay. Are There Any Player Prizes With Facebook Poker Apps? The social gambling platform isn’t designed to offer cash prizes in most markets due to gambling laws. As such, users are playing for tokens and points, which translate to more hands and a better place on the leaderboards. In some rare cases, Facebook poker apps will have jackpot prizes consisting of electronics, vacation packages and other goods. Part of what drives the social media gambling market is competitiveness and the ability to directly share your results straight to your Facebook followers. In time, the Facebook poker market will likely evolve into real money gambling, with real cash prizes, but there are some legislative steps required to make this happen. Are There Any Real Money Gambling Poker Options? There used to be a real money gambling option in the UK Facebook market with ZyngaPlusPoker. The popular game developer attempted to introduce real money Facebook gambling, but the attempt was unsuccessful in attracting users. Players simply did not see the incentives of switching over from their standard online poker brand to a Facebook poker app. It is possible for another run, but as of now, free play social poker apps are the consistent option.